At Exhibits South, we strive to produce environments that are innovative and cutting edge as well as meet the needs of our clients. We work in all realms of the exhibit design industry, creating tabletop and tension fabric exhibits to custom designs and permanent displays. Our creative solutions will deliver the edge needed to create a structural design that generates customer excitement allowing the opportunity to leverage existing relationships and improving your trade show, event and marketing results. 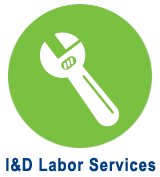 Complete Turnkey program management. Completion of show book for all show orders, including installation & dismantle labor, material handling, audio/visual, electrical, flooring, and photography. Event-site supervision. Complete online ordering inventory of exhibit properties. Partner with reliable, experienced trade show carriers. Manage shipping cost with negotiated rates. Provide exhibit insurance on all shipments. 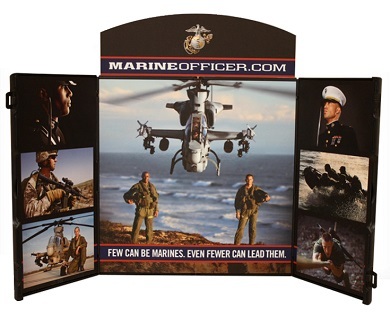 Table top displays remain one of the most popular trade show exhibit solutions on the show floor today. 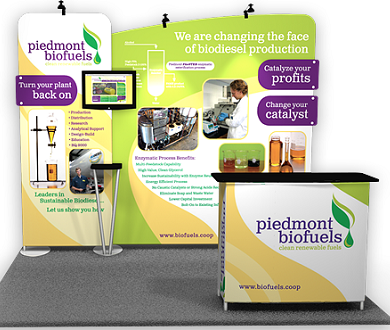 A 10×10 trade show display is the most common booth size and the perfect place for an exhibitor to begin. 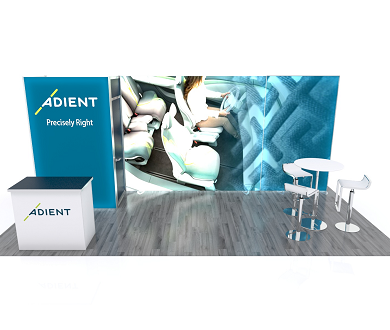 The extra space of a 10×20 booth allows more opportunities for conducting product demonstrations, audio/visual presentations, and meetings with a seating area. Do you only need a booth once, or wish to test a certain type of booth design? Rental exhibits offer flexibility as you determine your overall needs. Servicing the Nation, located in Metro Atlanta.